Safar Ayad is a contributor at Firnas.org and Wamda. 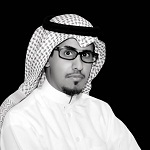 He cofounded tech news portal Onehas and contributed in launching the online economic section of Alsharq newspaper. You can follow his news on Twitter via @SafarAyad.